Lately, our son has been asking for evening massages with essential oils before bedtime. 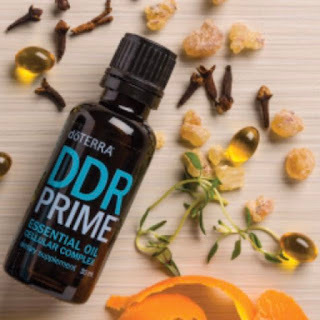 One of my go-to oils to use on him is DDR Prime cellular complex blend, which is healing to the body on a cellular level, strengthens the immune system, and supports the health of the brain and nervous system. I rub it on the soles of his feet and along his spine with a carrier oil.